Fatboy takes self-expression to new heights with a line of hair care and styling products suitable for all types and styles. Boasting a line of hair care that is as artistic as it is effective, Fatboy styling products give you the power and control necessary to turn your wildest hairdo ideas into realities without compromising hair health. Each product provides both performance and versatility. You’ll find a hair oil or styling cream that not only adds texture or smooths strands but also protects against heat, UV or environmental damage. When it comes to hair care, Fatboy is the embodiment of both fashion and function. Fatboy was created by Tyson Kennedy, a renowned hairdresser and founder of Cutler Salon in Brooklyn, New York. Kennedy formulated the first Fatboy product, the Perfect Putty, due to his perceived lack of high-performance styling products. Since its inception, Fatboy has produced a variety of hair products, from their daily shampoo and conditioner to the innovative Spray Putty. Whether your hair is short and fine or long and full, Fatboy has a styling product capable of unlocking the potential of your locks. At LovelySkin, we only sell authentic products that are 100% authorized and certified by the brands we carry, including Fatboy products. 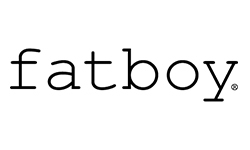 For more information about Fatboy, please contact our customer care department or call 402-697-1100.